My dad, like most fathers, is full of cheesy one-liners that he seems to find funny. Everytime. For over 30 years. He is also a notoriously bad tipper. (He has a long, made up philosophy about the dangers of over-tipping that I won’t get into here.) So, when I inevitably beg him to leave a better tip, or offer to leave one myself, he responds, “Hey, you want a tip? 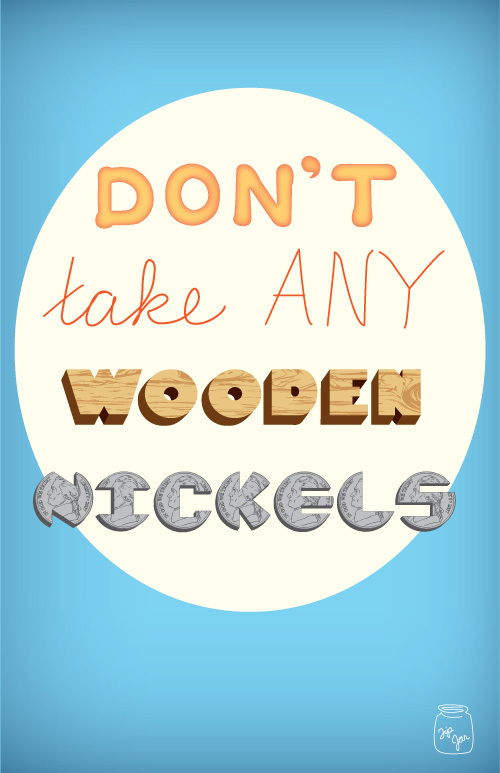 Here’s a tip, don’t take any wooden nickels.” He laughs, I roll eyes. Well, at least my dad’s poor tipping skills can find a new life in my procrastination projects. Anybody else have some tips I can add to the tip jar?